Lantek Integra Purchases is specifically designed for those management needs associated with a company’s purchasing processes. This software supplies the required information in a straightforward and timely manner to the appropriate staff members. 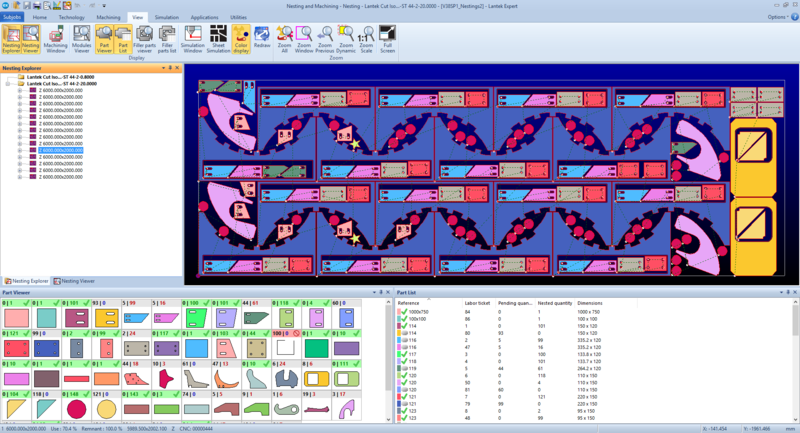 Lantek Integra Purchases provides all the information associated with the company’s suppliers. By selecting a supplier company, it is easy to access all related information such as purchase orders, delivery notes, invoices, purchase prices per item, supply conditions, and more. The system retains a full historical record of purchases and information received from different suppliers. Lantek Integra Purchases manages all the purchase orders issued as well as all the information and current status associated with them. For example, after receiving the goods, a purchase invoice is generated and the order status is changed. The system generates the purchase invoice automatically from the material needs previously identified. With Lantek Integra Purchases, it is possible to view the summarized or detailed inventory for each configured warehouse (by specific views and depending on product type). 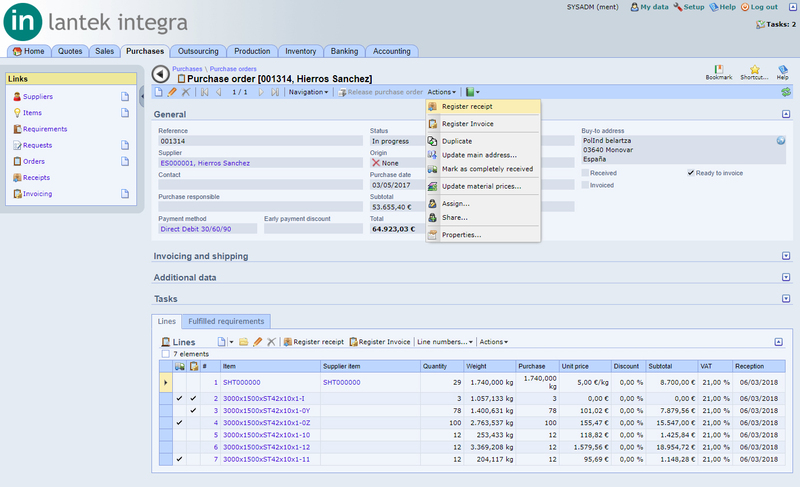 Different purchase needs are easily managed and the required purchases may be automatically released in a few seconds. Lantek Integra Purchases allows for the automatic generation of the delivery note associated with a purchase order or specific purchase item as soon as the material(s) are received in the warehouse. 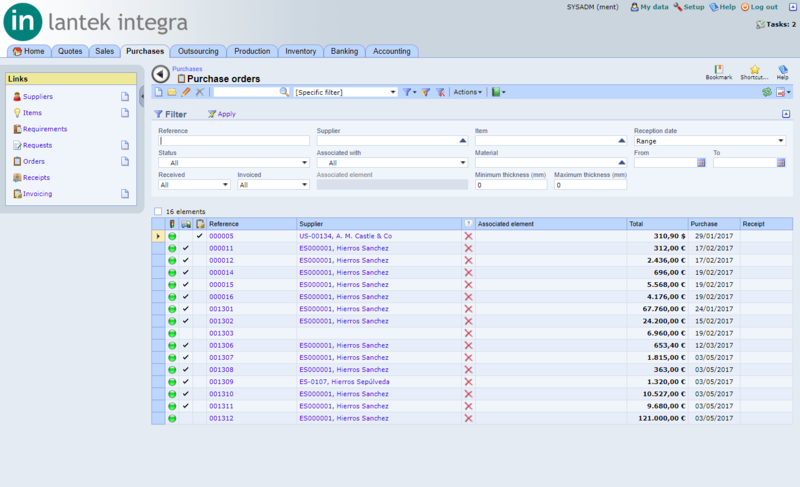 The system generates the purchase invoice automatically, either against a delivery note or against a placed order. The input material and tracking number are automatically managed by the system. The tracking number follows the life cycle of the connected element. In addition, Lantek integra Purchases manages all the relevant documentation such as quality certificates, supply conditions, rules, etc. 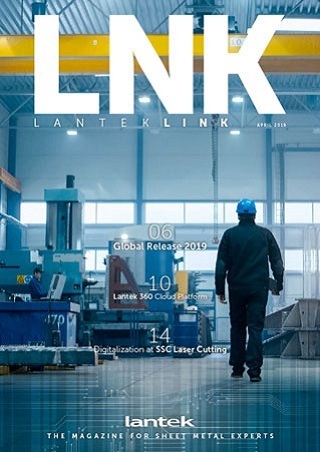 Lantek Integra Purchases is totally integrated with other Lantek Integra management modules and creates an effective system for the planning of material requirements. The system is able to calculate the requirement from each key area, such as: exceed a minimum stock, generate a sales order, create a management order and/or generate a nest in the technical office. Lantek Integra Purchases is a powerful, strategic analysis tool that provides critical information to the Purchase Manager, more specifically: history of purchases executed between specific dates, material receipts and documentation, invoicing by item and/or supplier, etc. The generation of different lists and statistics enables companies to exert greater control over their purchasing process. 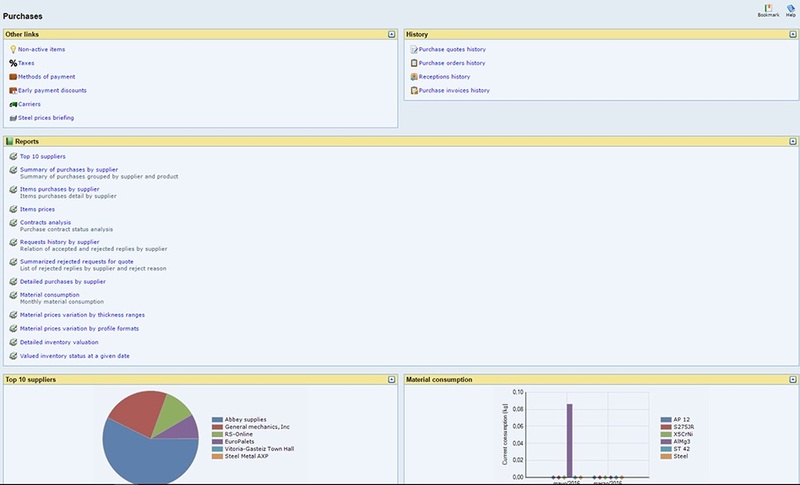 The user can close orders and purchase invoices by putting them into the “history” section from a configured date.